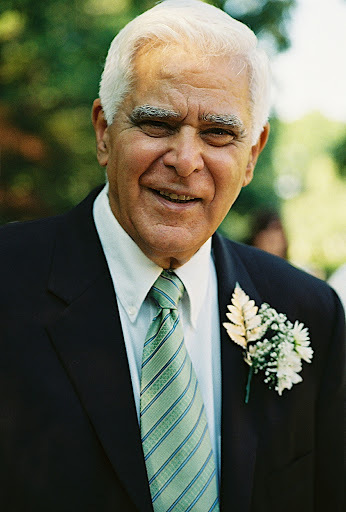 Myron Mudurian, age 82, peacefully died yesterday surrounded by loving family. Myron is survived by wife, Kathryn, brother Michael, four children: Michelle, Deidra, Karen and Mikala, and their partners Jeff, Richard, Aleksander, and Daniel. He also leaves behind three grandchildren, Cassidy, Matthew and Alexandra, and joins two others, Isaac and Samuel. He also leaves 2 great-grandchildren, Logan and Ahsoka. In addition, Myron had a large, loving extended family on Kathryn’s side, the Moskovtiz’s, including sister-in-laws, Janet, Sally, Margie and Becky; nephews Mark, Ben and Danny, and nieces Julie, Emily, Sarah, Leah and Mary. He is preceded in death by his father Charles, mother Lucy, brother Jack and brother-in-law David Moskovitz. Myron was a life-long resident of Akron, proud Armenian and Marine Corps veteran of the Korean War, retired from Ohio Bell and worked at Mayfair Country Club in his later years. He loved life, family, friends and nature. He was happiest when he was helping others or sharing his love of the woods with his family and friends. He volunteered weekly at Akron’s St. Bernard’s church where he prepared and served lunches for those in need, and volunteered at the Akron Public Library. He enjoyed art and music and loved to read. All who knew him felt his special charisma. He will be dearly missed. Myron will be interred at the Ohio Western Reserve National Cemetery with Military Honors. A celebration of Myron’s life will be arranged at a later date. Condolences and special memories can be shared online at www.heritagecremationsociety.com.